The Green Party of Los Angeles County (GPLAC) organizes based upon the GPCA platform and Ten Key Values - applying that platform and those values to issues in our local communities. We take positions on individual issues, as well as make endorsements of candidates and ballot meaures in LA County. Beyond Baroque, 681 Venice Bl, Venice. Come learn more about Neighborhood Councils - how to run & what it's like to serve. The Green Party of Los Angeles County endorses incumbent Green Jose Lara for re-election to the El Rancho Unified School District Board of Trustees in Pico Rivera. The Green Party of Los Angeles County (GPLAC) opposes Measure TL on Santa Monica's November 6, 2018 General Election Ballot and recommends a 'no' vote on TL in November. The Green Party of Los Angeles County (GPLAC) organizes based upon the GPCA platform and Ten Key Values - applying that platform and those values to issues in our local communities. We take positions on individual issues, as well as make endorsements for elections on the ballot in LA County. El Partido Verde cree que ninguna persona es 'ilegal', que todas las personas merecen justicia social, y que las políticas de inmigración de los Estados Unidos deben tratar a los inmigrantes indocumentados, y a los migrantes, de manera humana y con dignidad. The Green Party believes that no person is ‘illegal’, that all persons deserve social justice, and that U.S. immigration policies must treat undocumented immigrants and migrants humanely and with dignity. 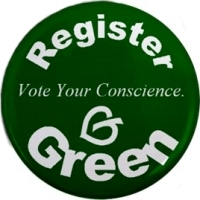 The Green Party of California (GPCA) and the Green Party of Los Angeles County (GPLAC) have endorsed the Initiative to Repeal The Top Two Candidates Open Primary Law - a ballot measure that would overturn Top Two elections in California (http://www.stoptop2.com/).